On March 30, whether you like it or not, Facebook will transition all brand pages to its Timeline format, which offers marketers more visually exciting ways to share their content. A new white paper published by my colleagues in the iCrossing Live Media Studio, The CMO’s Guide to the New Facebook, should help you capitalize on the new Facebook. 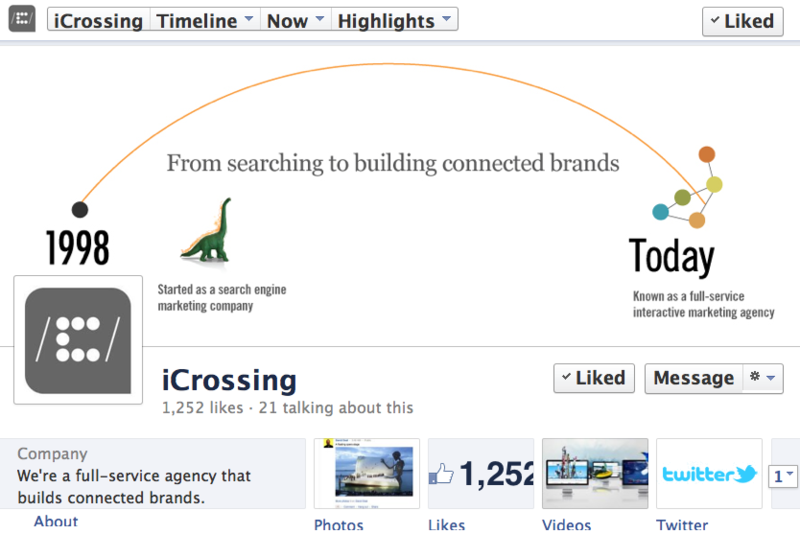 iCrossing asserts that Facebook Timeline for brands is far more than a tweak to the world’s largest social network; rather, marketers need to understand that Facebook is compelling brands to think like publishers with editorial and content strategies that span paid, earned, and owned media. The CMO’s Guide to the New Facebook suggests that being engaging is important – and an obvious appeal of the new visually compelling Timeline layout — but even more important is publishing engaging content that you can use as an advertising asset under the new Facebook. The publication of the paper is, in itself, a tribute to Facebook’s massive reach. I don’t think of Facebook as a social network anymore. I think of Facebook as an advertising and marketing platform where people socialize. What are you doing to adapt to Facebook, the marketing machine? This entry was posted in Digital, Facebook, Marketing, Social media and tagged Facebook, iCrossing, Live Media Studio, The CMO's Guide to the New Faceook, Timeline. Bookmark the permalink.